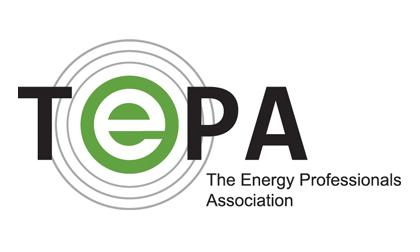 HOUSTON – September 7, 2018 – The Energy Professionals Association (TEPA), announced today that the 501 (6)(c) organization has entered into an agreement with EnerKnol, an energy policy data and analytics company. Under the agreement, EnerKnol will offer research and analytics that spans the spectrum of the energy industry and TEPA will distribute EnerKnol’s data to its national membership base. The agreement will begin September 18, 2018. EnerKnol is an innovative energy policy data and analytics company. It was founded to solve the market’s vast need for real-time access to the critical regulatory information required to make decisions in the energy industry, from fossil fuels, to power and utilities, environmental commodities and renewables. EnerKnol and TEPA collaborated on a new product capability, called EnerKnol Impacts, designed exclusively for TEPA members. This TEPA Impact offering delivers explicit market and regulatory insights, with unique search capabilities, that address the major topic areas and specific insights that TEPA members commerce on. Established in 2005, The Energy Professionals Association is a 501(c)(6) comprised of independent energy aggregators, brokers and consultants “ABCs”, as well as energy suppliers and other energy related entities seeking the advancement of fair, deregulated energy markets. TEPA is a self-regulating body aimed at improving processes and ensuring “ABCs” maintain an acceptable level of market knowledge and responsibility while transacting in the marketplace. Members of the ABC indirect sales channel community provide a forum for developing common interests and perpetuating the integrity of competitive markets. For more information visit https://www.tepausa.org. EnerKnol is an energy policy data and analytics company, founded to solve the need for real-time access to the critical regulatory information required to makedecisions in the energy industry. The company is comprised of a team of energy policy analysts, publishing research and providing regulatory insight. EnerKnol uses proprietary algorithms to parse countless policy documents, identify those pertinent for individual energy businesses, and equip users with refined, actionable data to enable confident decision-making. For more information visit https://enerknol.com.